Summary: A brief but accomplished dream-pop debut from the Toronto quintet. Perhaps thanks to the incredible push they’ve received on 6 Music in the past few weeks, Canadian dream-pop outfit Alvvays built some serious expectations for their self-titled debut. They may have only been around for a couple of years, but they’ve already wowed critics and fans alike with their scuzzed-out pop melodies and warm, washed-out guitars, and Alvvays more than delivers on that early promise. While it clocks in at barely over the thirty minute mark, this brevity means that the album possesses a sense of drive and momentum that dream-pop records often struggle to maintain. There’s no filler here; each and every track adds value, does something different, or is quite simply brilliantly entertaining. This is probably due in part to the fact that the band managed to secure the services of Chad Van Gallen as producer, a man whose own albums are finessed to a tee. ‘Archie, Marry Me’ is ull of twenty-something angst and confusion, capturing perfectly the dilemmas of crossing from youth into fully-fledged adulthood. Rankin’s knack for capturing these kinds of simple human experiences really comes to the fore, with her neat turns of phrase and evocations of the small things in life that cause such disproportionate stress (“too late to go out, too young to stay in”, for instance, is a pretty accurate summation of most twenty-somethings’ mindsets).It will of course be familiar to anyone listening to 6 Music on a regular basis, it’s just one of a series of wonderfully catchy opening tracks. ‘Adult Diversion’ kicks in with a riotous riff and drum beat, growing into a fully-fledged piece of light-hearted, surf-pop bliss. ‘Ones Who Love You’ takes things down a peg tempo-wise, but has an irresistibly sincere chorus thanks to Molly Rankin’s ethereal vocals. The guitars, meanwhile, provide a gently chugging sense of rhythm in the verses, before throwing in some truly dreams riffs in the chorus. ‘Party Police’ is another stand-out track. While its blend of reverberating guitars, distorted bass lines and pounding beats might imply the kind of raucousness that would require its titular enforcement agency, it is in fact a somewhat melancholic track. Rankin’s gentle, higher-range vocals don’t naturally imply nocturnal naughtiness in the same way as, for instance, Lana Del Rey’s might. What they do, however, is add a sense of nostalgia and loss, perfectly complimented by the song’s break-down in its final third, where a change in tone suggests that perhaps all is not as well as it seems, as Ranking begs her mysterious addressee to ‘find comfort in debauchery’. Closing with the trip-hop influenced ‘Red Planet’, the song is a departure from the rest of the album’s dream-pop sound, and suggests that there’s even more to come from these talented Toronto exports. The beats are understated, pulsating gently beneath layers of synth and organs, before building to a wall of feedback that cuts off so bluntly, you can’t help feel the band want to rub-in the fact that the album could perhaps have been a little bit longer. If you’re already a fan of dream-pop, then this album will undoubtedly have you hooked from the get-go. It’s a perfect example of the whimsical yet weighty potential the genre has on offer. While it isn’t breaking any barriers just yet in terms of how this style of music might develop in future, it already seems fair to say that Alvvays will be at the heart of whatever comes next. Until then, these nine tracks will have to do. 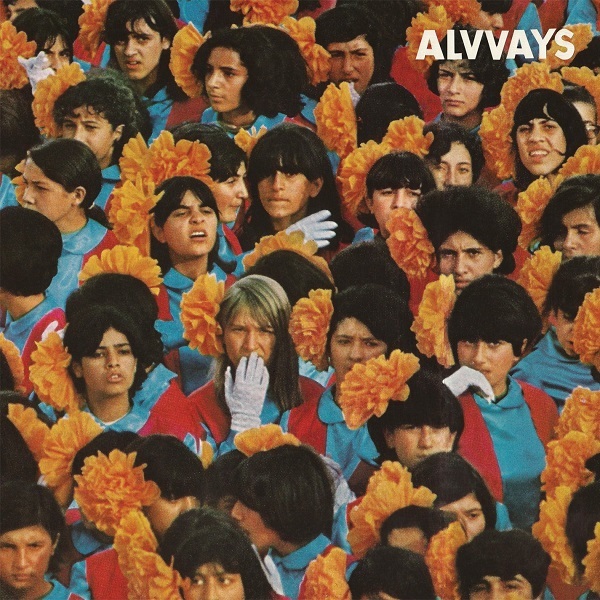 Alvvays is out now via Transgressive.